A STAR is reborn in the third remake of the rags-to-riches fairytale, which originally starred Janet Gaynor and Fredric March. The 21st-century twinkling doesn't emanate from pop chameleon turned award-winning actor Lady Gaga, who is undeniably luminous as a naive and vulnerable ingenue rocketing into the musical firmament. No, the film's retina-searing ball of light is Bradley Cooper as her grizzled mentor and lover. The Philadelphia-born leading man nestles confidently into the director's chair for his debut feature but he truly dazzles in front of the camera, drenched in the sweat and self-loathing of a booze-soaked showman, who is staggering towards the precipice of oblivion. In her catchy 2011 dancefloor anthem Gaga proclaimed she was on the edge of glory. Here, her handsome co-star is perpetually on the verge of self-inflicted annihilation, beholden to the demons of alcohol and drugs, which provide his veteran singer-songwriter with temporary refuge from the tinnitus that will eventually deny him the pleasure of playing to stadia filled with adoring fans. Cooper rocks and rolls in exhilarating concert sequences and performs his character's signature tracks with gravelly-voiced aplomb including a duet with Gaga on the swoonsome ballad Shallow. Both actors are serious contenders for Oscar consideration next year. Jackson Maine (Cooper) continues to milk success with the support of his brother and manager, Bobby (Sam Elliott), who resents the way his younger sibling puts their old man on a pedestal. "All dad ever did for you was make you his drinking buddy," snarls Bobby. Following a concert, Jackson heads to the nearest bar where he is stunned by a soaring rendition of Edith Piaf by waitress Ally (Gaga). They spend the night talking and flirting, and Ally discloses that she lives at home with her protective father (Andrew Dice Clay). Potential radiates from every pore of Ally and Jackson invites her to join him at his next gig where their on-stage performance goes viral and attracts the attention of cut-throat manager Rez (Rafi Gavron). As Rez moulds Ally's destiny and propels her towards superstardom, Jackson's influence wanes and fissures appear in the relationship. "The caterpillar becomes a butterfly..." observes Bobby with a knowing yet rueful smile. 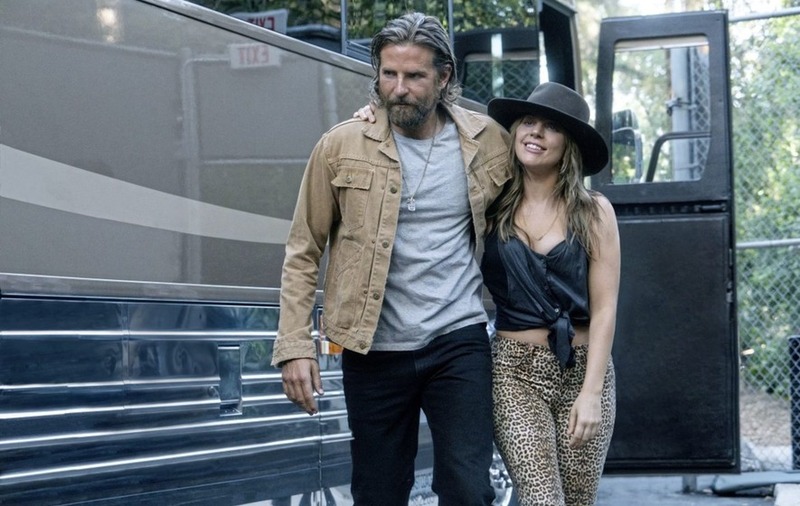 A Star Is Born is far grungier and sexier than the 1954 and 1976 remakes headlining Judy Garland and Barbra Streisand, although the script – credited to Eric Roth, Will Fetters and Cooper – dances to the same heartbreaking melody as previous incarnations. Screen chemistry between the two leads is molten and you can almost feel the heat rippling off the screen in breathlessly choreographed bedroom scenes. Elliott strums up powerful emotions in support alongside London-born Gavron, who won't allow a crazy little thing called love to distract his showgirl-in-the-making from seizing success with both hands. One snort of fame and you're helplessly addicted.